The Region of Los Lagos invites you to discover beautiful landscapes, with beautiful destinations full of magic and charm. Myths and legends are daily bread, and the gastronomic traditions will make your mouth water. Los Lagos has the famous archipelago of Chiloé, a land in which many myths and legends are gathered, such as the Trauco (creature with factions resembling an ogre that walks through the forests of the big island) and the Caleuche (ghost ship) that appears in the coasts of the big island). It is in this archipelago that is the city of Castro, the third oldest city in the country. Which was burned by Dutch pirates who looted that area of ​​the continent. But not only Chiloé will captivate you, but also its beautiful cities such as Puerto Varas, Puerto Montt and Frutillar. 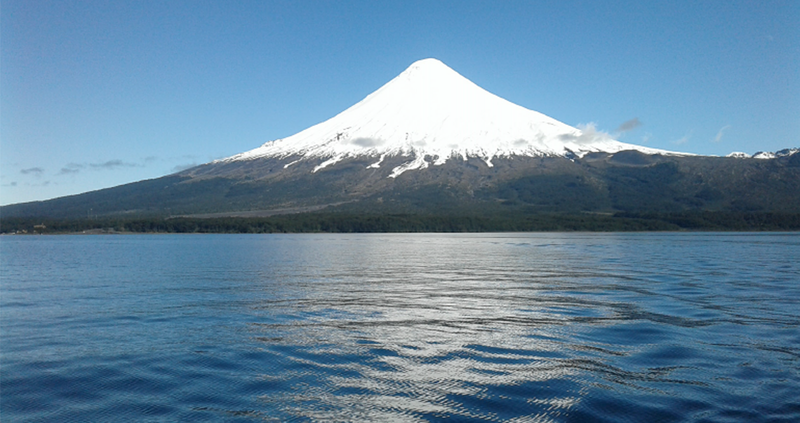 Lake Llanquihue will dazzle you. Come to know this land full of magic, legends and beautiful traditions. Land of myths and legends. Of exquisite traditions and delicious gastronomy. To know the insular territory of Chile is to enter a magical world, with a lot of cultural and patrimonial richness. 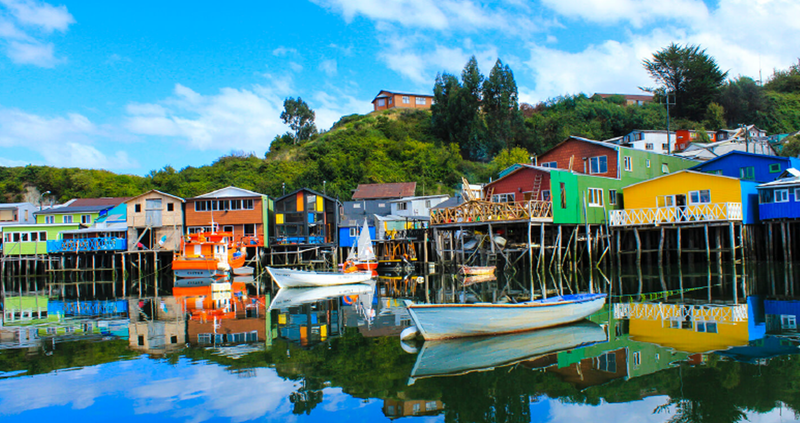 Chiloé, located in the Los Lagos Region, has an identity that enchants anyone who visits it. Its churches, its quaint palafito houses, its typical gastronomy, and above all, its people with their amazing tradition instilled with myths and legends, give this archipelago a unique and unique character. The island has a hundred wooden churches built by the Jesuits and in some cases dating back to the eighteenth century. Of these, 16 were declared World Heritage by UNESCO in the year 2000. At the same time, the island offers an immense natural biodiversity, which becomes latent if you visit the Chiloé National Park, located in the vicinity of Cucao. Also Tantauco Park south of Chiloé will amaze you with its various trekking routes and trails that will take you to discover magical places. It is considered one of the best routes in the world thanks to the inhospitable and unique landscapes that are covered in it. 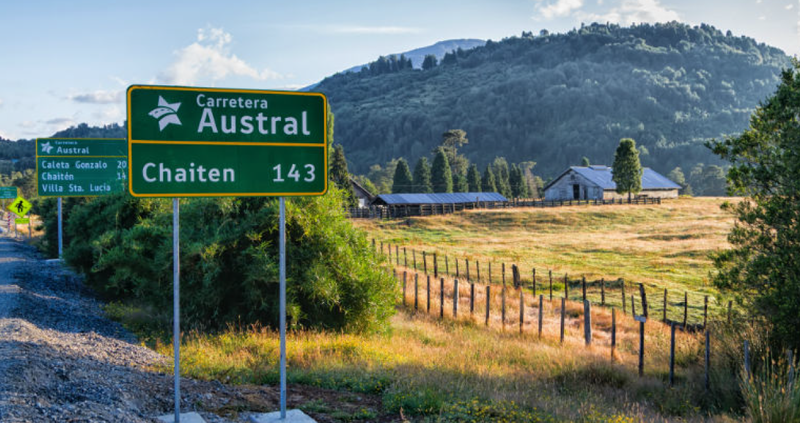 The adventure of the Carretera Austral starts at “Caleta La Arena” (Puerto Montt), then you cross the Reloncaví estuary by ferry, where you take the road back to Hornopirén. The route continues between road and ferries crossing the Pumalín Park until reaching Chaitén, where you can trek to the Volcano of the same name or fly fishing in Yelcho Lake. The next stop is Futaleufú. Its wild waters have made this small town famous and its rapids have become a world-class destination for rafting enthusiasts. In its surroundings it is possible to take walks, horseback rides, kayak trips, recreational fishing or venturing into its transversal roads. Proud of its German tradition, inherited from the nineteenth century with the arrival of hundreds of German immigrants, the villages surrounding the lake still preserve that characteristic heritage, represented in the local architecture and its gastronomy, where the large houses of tejuelas, the kúchenes and the craft beer are part of the environment that makes up this lacustrine area. 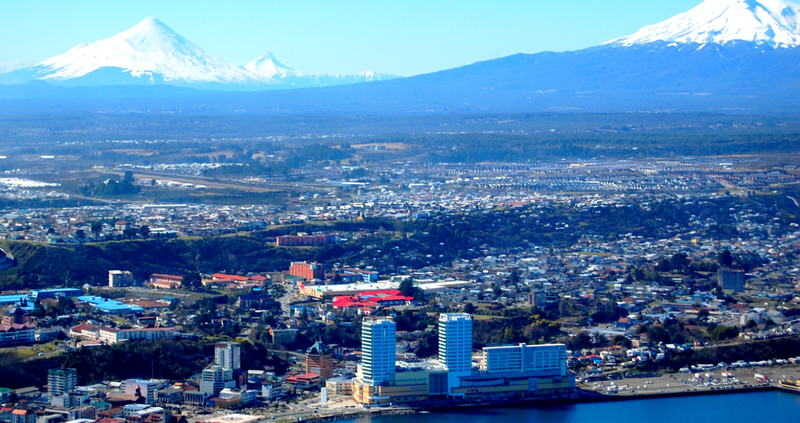 On this route through the basin, Puerto Varas (also called “the city of roses”), Frutillar and Puerto Octay, stand out as an internationally recognized tourist destination, which not only attracts attention because of its attractive views of Lake Llanquihue and the volcanoes Osorno and Calbuco. A trade in frank growth, added to the range of services offered, make this place an obligatory stop for travelers arriving in the area.